The Senate easily approved the first of several “minibus” spending packages on Wednesday, which lawmakers hope will reach President Trump’s desk by Friday to avert a government shutdown at the end of the month. The $146 billion measure, passed by a vote of 92 to 5, includes funding for the legislative branch, the Energy Department, the Department of Veterans Affairs, and more. “We have a long way to go, but we’re getting there with this first batch of appropriation bills,” said Senate Appropriations Committee Chairman Richard Shelby (R-AL). "The American people expect us to get our work done. If we continue to work together in a bipartisan manner, we can successfully fund nearly 90 percent of the federal government on time through regular order — something Congress has not been able to do in many years," he added. Proud of the Senate’s ongoing, bipartisan cooperation to pass appropriations bills. Tonight we voted to pass the final conference agreement on #HR5895, which packages Energy & Water Development, Military Construction & Veterans Affairs, & Legislative Branch bills. "This package is not perfect, but that is the nature of compromise," said Sen. Patrick Leahy, D-Vt., the ranking member on the Appropriations panel. As Shelby said, all three spending packages would fund nearly 90 percent of annual spending. Lawmakers will likely pass stopgap legislation that will cover the remaining portion of the government, including spending on the Department of Homeland Security. President Trump has threatened a government shutdown on Oct. 1 over money for the border wall, but Republican leadership prefers to wait until after the midterm elections to debate its funding. 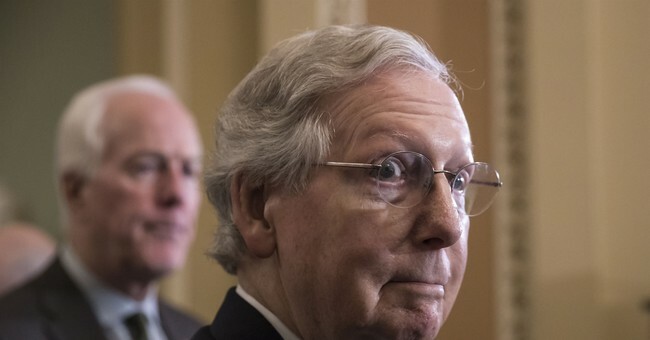 "We still are in favor of the wall, we still want to get funding for the wall, but we think the best time to have that discussion is after the election," Senate Majority Leader Mitch McConnell, R-Ky., told Fox News last week. The House is expected to vote on the legislation Thursday.